McGee, M., Bainbridge, S., & Fontaine-Bisson, B.
Vaccinium angustifolium (lowbush blueberry) leaf extract increases extravillous trophoblast cell migration and invasion in vitro. Ly, C., Ferrier, J., Gaudet, J., Yockell‐Lelièvre, J., Arnason, J., Gruslin, A., Bainbridge, S.
Phytotherapy Research 32.4 (2018): 705-714. doi: 10.1002/ptr.6021. Epub 2018 Jan 29. Leavey K, Wilson SL, Bainbridge SA, Robinson WP, Cox BJ. Clin Epigenetics. 2018 Mar 2;10:28. doi: 10.1186/s13148-018-0463-6. eCollection 2018. Gene markers of normal villous maturation and their expression in placentas with maturational pathology. Leavey K, Benton SJ, Grynspan D, Bainbridge SA, Morgen EK, Cox BJ. Placenta. 2017 Oct;58:52-59. doi: 10.1016/j.placenta.2017.08.005. Epub 2017 Aug 12. A role for maternally derived myokines to optimize placental function and fetal growth across gestation. Dubé C, Aguer C, Adamo K, Bainbridge S.
Appl Physiol Nutr Metab. 2017 May;42(5):459-469. doi: 10.1139/apnm-2016-0446. Epub 2017 Jan 17. Andrée Gruslin award lecture: Metabolomics as an important modality to better understand preeclampsia. Benton SJ, Ly C, Vukovic S, Bainbridge SA. Unsupervised Placental Gene Expression Profiling Identifies Clinically Relevant Subclasses of Human Preeclampsia. Leavey K, Benton SJ, Grynspan D, Kingdom JC, Bainbridge SA, Cox BJ. Oocyte donation pregnancies and the risk of preeclampsia or gestational hypertension: a systematic review and metaanalysis. Masoudian P, Nasr A, de Nanassy J, Fung-Kee-Fung K, Bainbridge SA, El Demellawy D.
Effect of folic acid on human trophoblast health and function in vitro. Ahmed T, Fellus I, Gaudet J, MacFarlane AJ, Fontaine-Bisson B, Bainbridge SA. IFPA meeting 2015 workshop report: Mechanistic role of the placenta in fetal programming; biomarkers of placental function and complications of pregnancy; late onset fetal growth restriction surveillance and monitoring. Andraweera PH, Bobek G, Bowen C, Burton GJ, Correa Frigerio P, Chaparro A, Dickinson H, Duncombe G, Hyett J, Illanes SE, Johnstone E, Kumar S, Morgan TK, Myers J, Orefice R, Roberts CT, Salafia CM, Thornburg KL, Whitehead CL, Bainbridge SA. Large scale aggregate microarray analysis reveals three distinct molecular subclasses of human preeclampsia. Leavey K, Bainbridge SA, Cox BJ. IFPA Meeting 2013 Workshop Report I: diabetes in pregnancy, maternal dyslipidemia in pregnancy, oxygen in placental development, stem cells and pregnancy pathology. Abumaree MH, Alahari S, Albrecht C, Aye IL, Bainbridge S, Chauvin S, Clifton VL, Desoye G, Ermini L, Giuffrida D, Graham CH, Huang QT, Kalionis B, Lager S, Leach L, Li Y, Litvack ML, Nuzzo AM, Moretto-Zita M, O'Tierney-Ginn P, Powell T, Rolfo A, Salomon C, Serov A, Westwood M, Yung HW, Lash GE. Endothelial NO synthase augments fetoplacental blood flow, placental vascularization, and fetal growth in mice. Kulandavelu S, Whiteley KJ, Bainbridge SA, Qu D, Adamson SL. Significance of IGFBP-4 in the development of fetal growth restriction. Qiu Q, Bell M, Lu X, Yan X, Rodger M, Walker M, Wen SW, Bainbridge S, Wang H, Gruslin A. The Journal of clinical endocrinology and metabolism. 2012; 97(8):E1429-39. Kulandavelu S, Whiteley KJ, Qu D, Mu J, Bainbridge SA, Adamson SL. Effects of reduced Gcm1 expression on trophoblast morphology, fetoplacental vascularity, and pregnancy outcomes in mice. Bainbridge SA, Minhas A, Whiteley KJ, Qu D, Sled JG, Kingdom JC, Adamson SL. Uric acid attenuates trophoblast invasion and integration into endothelial cell monolayers. Bainbridge SA, Roberts JM, von Versen-Höynck F, Koch J, Edmunds L, Hubel CA. American journal of physiology. Cell physiology. 2009; 297(2):C440-50. Increased xanthine oxidase in the skin of preeclamptic women. Bainbridge SA, Deng JS, Roberts JM. 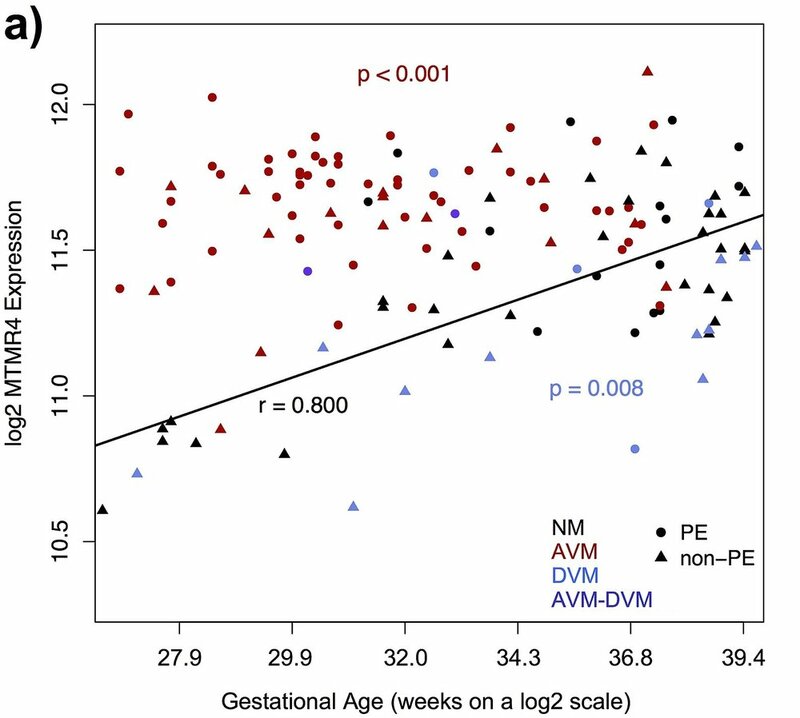 Human placental adenosine receptor expression is elevated in preeclampsia and hypoxia increases expression of the A2A receptor. von Versen-Höynck F, Rajakumar A, Bainbridge SA, Gallaher MJ, Roberts JM, Powers RW. Uric acid inhibits placental system A amino acid uptake. Bainbridge SA, von Versen-Höynck F, Roberts JM. Uric acid as a pathogenic factor in preeclampsia. Diagnosis, evaluation, and management of the hypertensive disorders of pregnancy. Magee LA, Helewa M, Moutquin JM, von Dadelszen P.
Journal of obstetrics and gynaecology Canada : JOGC = Journal d'obstetrique et gynecologie du Canada : JOGC. 2008; 30(3 Suppl):S1-48. Glyceryl trinitrate inhibits hypoxia/reoxygenation-induced apoptosis in the syncytiotrophoblast of the human placenta: therapeutic implications for preeclampsia. Belkacemi L, Bainbridge SA, Dickinson MA, Smith GN, Graham CH. The American journal of pathology. 2007; 170(3):909-20. Carbon monoxide inhibits hypoxia/reoxygenation-induced apoptosis and secondary necrosis in syncytiotrophoblast. Bainbridge SA, Belkacemi L, Dickinson M, Graham CH, Smith GN. The American journal of pathology. 2006; 169(3):774-83. The effect of nicotine on in vitro placental perfusion pressure. Canadian journal of physiology and pharmacology. 2006; 84(8-9):953-7. Free radical biology & medicine. 2005; 38(8):979-88. Direct placental effects of cigarette smoke protect women from pre-eclampsia: the specific roles of carbon monoxide and antioxidant systems in the placenta. Bainbridge SA, Sidle EH, Smith GN. Carbon monoxide decreases perfusion pressure in isolated human placenta. Bainbridge SA, Farley AE, McLaughlin BE, Graham CH, Marks GS, Nakatsu K, Brien JF, Smith GN.